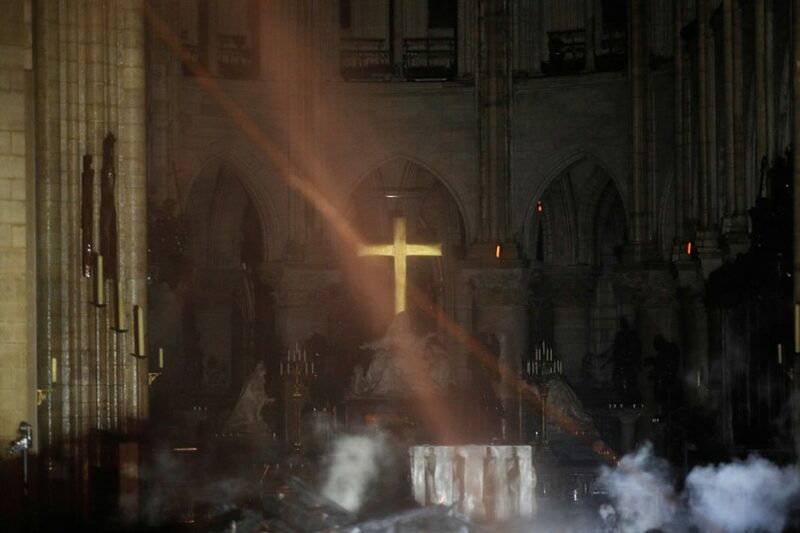 Photos from inside Notre Dame show the central part of the historic Gothic cathedral still intact. Still, a massive hole can be seen in the 850-year-old cathedral’s roof. The pictures also show smoke emanating from the chancel, the area around the altar. “The altar and its cross are preserved. It’s not as bad as I feared,” she told Le Monde. There is still a fire between the stone vault and the wood frame, Le Monde reported. Previous articleU.S. Imposes Sanctions on Iran’s Revolutionary Guards; Hezbollah Now Accepting Kidney Donations – so some will give up a kidney in order to fund other people blowing themselves up in restaurants and theaters.